At the edge of Iceland’s Reykjanes peninsula, two women’s lives will intersect – for a brief moment – while being trapped by unforeseen circumstances. 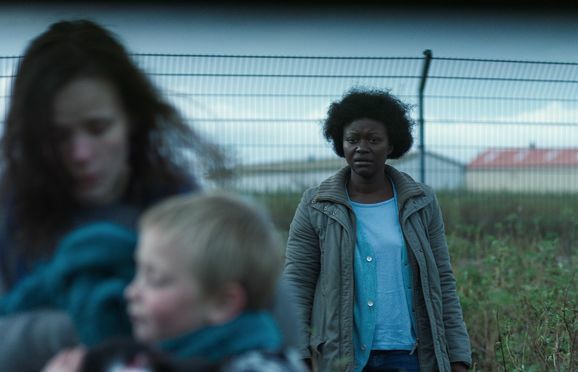 Between a struggling single mother from Iceland and an asylum seeker from Africa, an intimate bond will form as both fight to get their lives back on track. Sundance Film Festival - Award: Best Director (Ísold Uggadóttir) in World Cinema competition. Göteborg Film Festival - Award: FIPRESCI Award. Provincetown Film Festival - Award: HBO Audience Award. Traverse City Film Festival - Award: Roger Ebert Award. Athens International Film Festival - Award: Audience Award. Queer Screen Film Festival, Sydney, Australia - Award: Audience Award. Faroe Islands Minority Film Festival - Award: Best Film. Queer Lisboa - Award: Best Actress (Kristín Thora Haraldsdóttir). Hamptons International Film Festival - Award: Brizzolara Family Foundation Award.